At the IBC exhibition currently underway in Amsterdam, TiVo is showing a prototype device that will extend its DVR functionality to the cloud and support viewers on multiple devices. 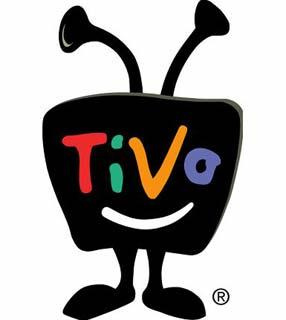 Called the TiVo Network PVR, it's an attempt to modernize TiVo's service for connected and mobile viewers. The TiVo Network PVR is aimed at operators taking steps in IP delivery. TiVo says it extends the familiar TiVo experience outside home, letting subscribers discover, watch, and even share content wherever they are. Social features will include co-viewing over social networks and the ability to share recorded programs with other authorized customers. In its pitch to operators, TiVo is saying that its cloud DVR will let them manage content rights issues, create tiers of service, and set multiscreen policies. Operators might offer a premium tier with expanded catch-up options, for example. A cloud DVR also offers targeted advertising options for recorded programs, TiVo says. In a separate statement, video delivery infrastructure company Harmonic said that it has collaborated with TiVo on the product, using its ProMedia applications for live transcoding and packaging, and its MediaGrid product for storage. "The natural evolution of the TiVo Service to address network storage is one of the cornerstones of an overall TiVo strategy to deliver an experience that delights the consumer on every screen while driving down pay TV operator costs," says Joshua Danovitz, vice president of innovation at TiVo. Content owners can have attractive apps with libraries of popular shows, but if viewers can't search that content then all their efforts won't pay off. Thanks to an iOS app and a software update, Roamio owners can now watch live or recorded content from their mobile devices. Consumers are drowning in choice; what they need is a simple search mechanism for finding content on any platform. New boxes will let TiVo users stream programs to secondary TVs or to mobile devices, including iPads and iPhones. The New TiVo Boxes: What's the Big Deal? The new TiVo Series4 models offer some cool features like online content searching, but don't live up to the hype surrounding their announcement.